It used to be that the hard part of a wedding was the cold feet on the morning of the big day, but these days that certainly isn’t the case. In fact, the prospect of a life-long commitment is nothing compared to the stress of trying to work out exactly what wedding favours you need to buy for your guests, who are already eating for free I might add, not to mention the overarching theme you have to pick to tie everything together, or the chair covers, or the menu… Have you thought about a photo booth or a light-up dance floor? Why not?! Do you want people to think you have no taste! I kid, of course and whilst putting a wedding together is hard work, it is totally worth it, even if your Grandma does have one too many Pimm’s and tries to cop off with one of the waiters. There’s a lot to think about when scheduling a wedding, even for the gents out there. First and foremost you need something dapper as heck to wear (scruffiness is purely inexcusable, just ask the bride, she’ll tell you), you’ll need to write a speech and buy presents for your parents, not to mention the selection of the venue, invitations, food, rings…. OK, I’ll stop. 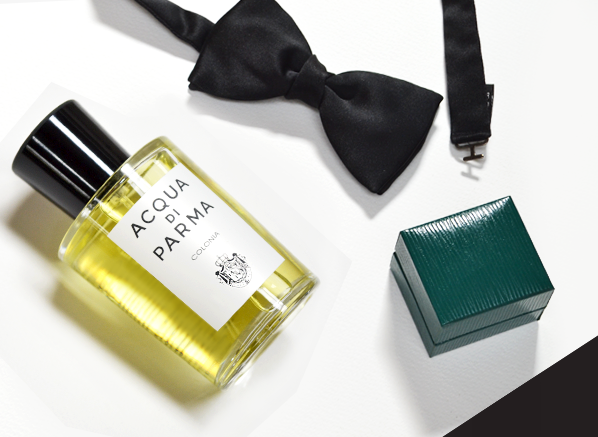 It’d be easy to neglect an important element of the wedding attire: the wedding scent. With smell being the closest link to our memory, it’s vital to pick a scent for the day that you’re going to want to be your olfactory time capsule to that moment in time. If you choose the right scent, it’ll be the finishing touch to your special day and luckily for you, we at Escentual are here to point you in the right direction, whether you’re the groom, best man or father of the groom! There’s not much of an argument to be made when it comes to Guerlain’s Vetiver. It needs no introduction and it shouldn’t take much convincing to get it on the necks and wrists of a blushing groom-to-be. To me, Vetiver is a gent’s old faithful – a fragrance so classic and comfortable that it can be worn to the gym just as well as it can be worn at the top of the aisle. Vetiver is the perfect groom scent because it is effortlessly elegant in every. With it’s vibrant citrus notes, ginger fizz and earth, and almost ashy vetiver, this classic Guerlain paints the image of a worldly man with a sensitive soul. Like I said, Vetiver doesn’t need me to promote its talents, it’s handsome enough to sell itself, so I’ll say just this: Guerlain’s Vetiver makes the perfect groom scent because it’s beautiful. No other description is necessary. For brides, it’s traditional to wear flowers on their wedding day, usually a spring bouquet of white flowers such as gardenia, tuberose, jasmine, orange blossom and freesia – something pure and beautiful. But what about the gents? Can they rock flowers too? Well, the answer to that question is a great big matrimonial yes! Men can certainly wear flowers on their wedding day, in fact the groom can wear whatever he darn pleases! What flower should he choose though? Well my vote goes to lavender, a flower that is to masculine perfumery as the bow tie is to men’s fashion: it’s timeless. I know what you’re thinking, lavender isn’t exactly the flower one associates with wedding days perhaps due to the fact that it can seem old-fashioned, but in truth this humble purple flower has been a staple of masculine perfumery for centuries, taking an integral place within the heart of the fougère accord, the most debonair of fragrance styles. My lavender pick for the groom is Etat Libre d’Orange’s thoroughly modern Antiheros. Here, lavender is waxy and soapy in a subtle way, sending forth a soft breeze of caramelised and menthol blooms that feel affable yet sartorial in the most contemporary way. What’s more, the long-standing relationship between lavender and masculine perfumery is certainly a good omen for a groom’s impending nuptials! 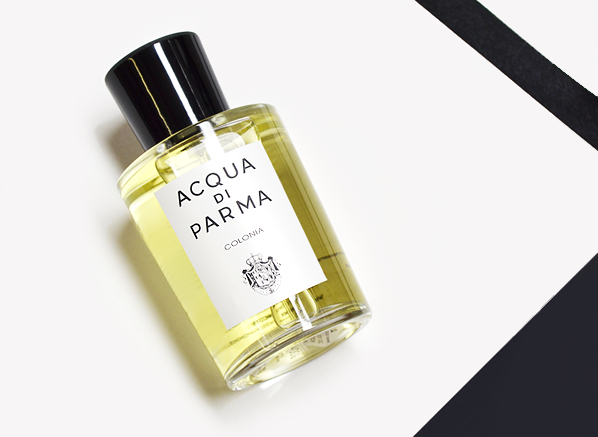 I had one fragrance in mind when thinking of a classic scent for the father of the groom and that was Acqua di Parma’s Colonia. For the patriarch of the proceedings there is nothing more handsome, smart and timeless as this. In fact, Colonia is so good I’d have happily suggested it as the uniformed choice for groom, best man and father of the groom, but that would have; a) been rather lazy of me; and b) not the most entertaining of articles to read. This is a straight up cologne with all the elements one expects: refreshing citrus, clean musks, flowers and herbs, but it has a bite to it and a leathery, animalic vibe that makes it seem much more masculine and authoritative. Essentially it’s practically perfect in every way! Now for something a bit more up-to-date for dear old dad. Olfactive Studio is a brand that pairs photography with fragrance, allowing the worlds of vision and odour to collide with staggeringly good results. 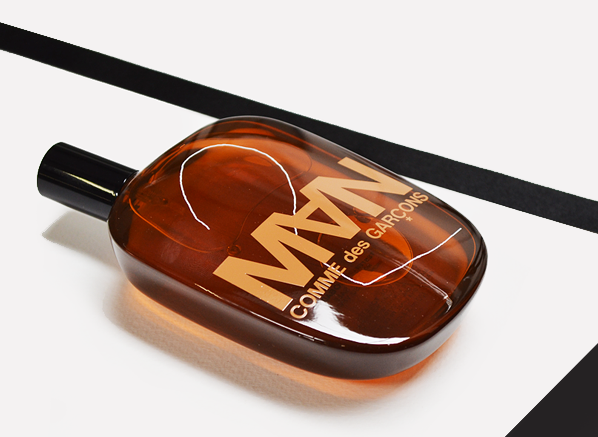 Much of their offering is fascinating, with a standout being Chambre Noir, which appears as a fragrance of two halves. On the one hand it is a warm and woody gourmand with deep resinous and incense notes, whereas on the other it is an unsettling and slippery floral that has an off-kilter feel. This is a good choice for the father of the groom that sees himself as a bit of a renegade. This entry was posted on Wednesday, June 15th, 2016 at 4:06 pm and is filed under Candy Perfume Boy, Fragrance, Men. You can follow any responses to this entry through the RSS 2.0 feed. You can skip to the end and leave a response. Pinging is currently not allowed.